Josh started his career working for a small business in Illinois which he ultimately purchased. With the knowledge gained from that journey he began working his way up to the General Manager role of a National Retailer and in the years to follow ran several National retail and restaurant locations. 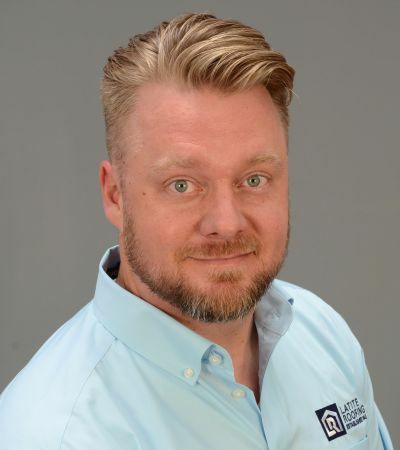 In 2003, Josh and his wife relocated to Naples, FL where Josh entered the roofing industry as a Sales Manager for a large residential roofing company prior to joining Latite. Josh joined Latite in 2008 as an Account Manager and due to his passion for networking, customer service, and attention to detail coupled with his extensive roofing and estimating knowledge he became one of the top Account Managers in the company. In 2013 Josh was promoted to the Sales Manager for the West Coast of Florida to hire, train and mentor the Sales and Estimating team. In 2016 Josh was promoted to General Manager of the Fort Myers Division of Latite to run the day to day operations and ensure the consistent quality and customer service that Latite is known for. Josh enjoys spending time and traveling with his family, live country music, and serving his Church as a Deacon.